Since the opening of the tourism industry in Ladakh in the year 1974, tourist influx in Ladakh increased every year but after 2007 the number of tourists visiting every year grown beyond expectation. Ladakh is known for its distinct identity, culture, wildlife and mesmerizing landscape which attracted people from different corners of the world. The growing tourism influx every year caused several issues pertaining to environment, culture, and tradition. The famous tourist destination such as Pangong Lake and Khardongla pass (The highest motorable road) are facing a big threat because of the mass tourism, lack of waste management and disposal facilities. The growing issue and concern can’t just be blamed to the tourist as locals are equally responsible. Seeing the economic boom and potential of the region, commercial establishments mushroomed on the agricultural lands, encroachment on the protected areas thus disturbing wildlife and mounting garbages everywhere. The uncontrolled measures and absence of management have massively contributed to the destruction of the fragile eco-system. Tourism industry being the major economic source for the people, focus is needed to make it sustainable. Ecotourism concept is becoming a need of the hour to protect the fragile ecosystem and preserving the unique culture and tradition. The concept should be more about benefiting people in an environmentally sound and socially responsible way. In the year 2015, Takmachik village was launched as an Eco- model village by Ladakh Environment and Health Organisation (LEHO). The whole concept of the project was “Tourism and Agriculture” to benefit both Takmachik villagers and tourist. The villagers adopted organic farming for a sustainable future. Along with the traditional crops such as wheat, peas, barley, and buckwheat seasonal vegetables like brinjal, capsicum and tomatoes are easily grown. In fruits varieties of apricot and apples, plum, cherries, walnut and watermelon are grown. Watermelon of Takmachik became famous in Ladakh because of its sugar sweet watery taste and size. Promotion of a true Ladakhi culture via eco-friendly tourism is the uniqueness of this village. 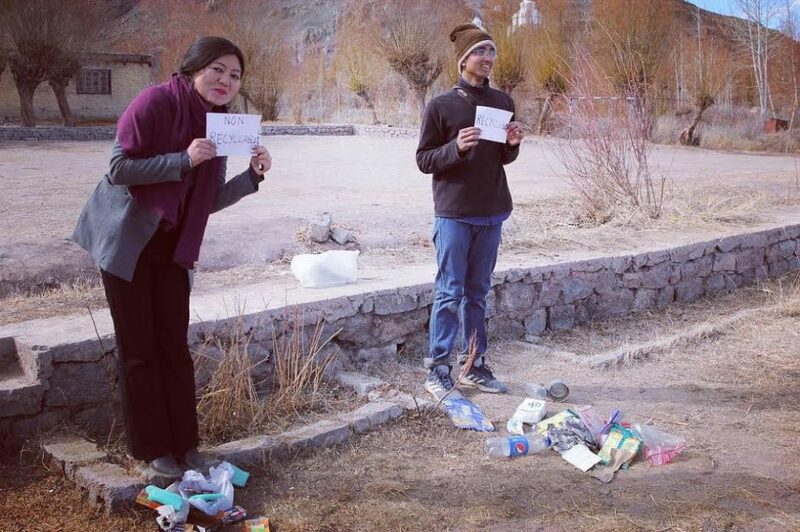 Planning to Travel Sustainably is Easier Than Ever Before in ladakh , if not the, most popular eco tourism in india , the more we allow for destructive habits that negatively impact the our Himalaya . For example, there are plenty of litter and waste often left behind when a huge number of tourist and visitor congregate at events that do not encourage the use of recycling bins, contributing to pollution. Ladakh is opening a new horizon to attract more and more tourist in the winter season. 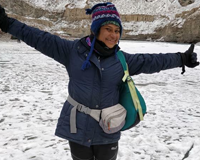 When the temperature dips below freezing point, the scope of winter tourism in Ladakh increases, thus, making one experiences a life of Ladakh in winters when it is cut with rest of the world. To promote winter tourism, unique ideas such as Ice café and an artificial glacier climbing has come up. The artificial glacier is made to meet the water scarcity issue by harvesting the winter water which is not much of use. Today with creativity these artificial glaciers are not just aiming to serve the water requirement but attracting tourist as well.